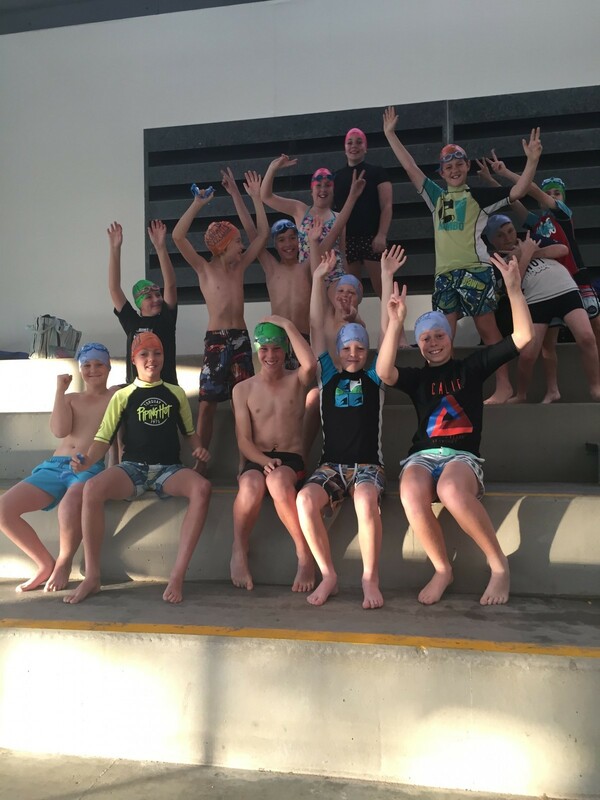 Kyabram students graduate from before school swim trial at Aquamoves Shepparton - Aquamoves – Indoor and outdoor pools, fitness facilities and programs in Shepparton, Victoria. It was published in June 2015, so the information may be out-of-date. Today, 36 Year 5 and 6 students from Kyabram P-12 College have graduated from Life Saving Victoria's Before School Swim trial. 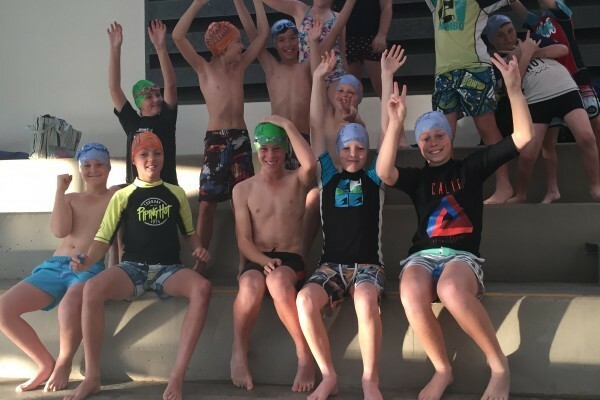 The trial has been conducted with Year 5 and 6 students from Guthrie St Primary School (as a 10-day intensive program) and over the past 10 weeks with Kyabram P-12 College at Aquamoves. The trial has already been found to be successful in improving swimming skills of students, including an 11 per cent increase in the proportion of students able to swim 50 metres continuously and overall increases in CPR and lifesaving skills, confidence in the water and enjoyment of swimming lessons. With a focus on personal survival skills, including rescue strategies, lifejackets and safe boating, CPR, floating and treading water skills, the program has aimed to prepare students for accidental entry into water, and particularly local open water environments. LSV General Manager Kate Simpson says the program has been a huge success with participating schools and students. "The trial aimed to overcome some of the barriers that schools identified to conducting swimming and water safety programs, such as reducing time out of the classroom by holding the lessons before school and reducing travel costs were possible. "Despite having to get up earlier, the students have really embraced the program, even turning up for lessons on their pupil free day last week. "We have seen a significant increase in students' self-confidence and they have loving taking part in a program with a lifesaving focus." The initiative also provides a timely solution for trialling an effective cost model for the sustainability of school swimming and water safety programs, following a Coronial recommendation published this week that "swimming and water safety education should be a compulsory skill taught within the primary school curriculum to all Victorian children". This recommendation was adopted in agreement with Life Saving Victoria's 2013 report Sink or Swim: The state of Victorian primary school children's swimming ability, which found that Victorian school children are lacking necessary swimming and water safety skills, with 60 per cent of Victorian Year 6 students reportedly unable to swim 50 metres. Ms Simpson says that Victoria has the lowest reported swimming and water safety competency levels in Australia. "From 2000-2013, we also saw 205 children aged 5-14 in Victoria involved in drowning incidents (including deaths and hospitalisations). "Drowning is highly preventable. Knowledge of survival swimming and basic water safety skills can significantly reduce the risk of drowning, enhance community safety and build resilient children." The Before School Swim Trial has been delivered with support from the Helen Macpherson Smith Trust, Federation University (Australia), Royal Life Saving Society Australia and the Australian Government's ‘Inland Waterways Drowning Prevention Fund', My Yummy Lunchbox, Swimming Victoria and School Sport Victoria.